This Monster Mini Golf is in Columbia, MD, which is the closest to me. They're located all over the US and Canada though. There's even a KISS themed one in Las Vegas! More photos of the course here. This place is more than a golf course though. It's like a Creep E. Cheese! if you know the name of the monster below. If so, go tell her here! 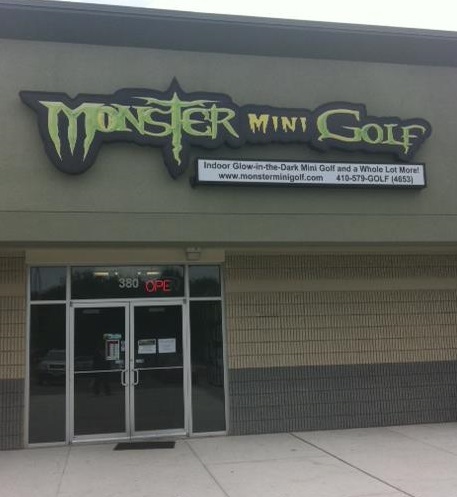 For more info on Monster Mini Golf, visit their website here. Now go visit the other MMM Minions listed here! If we had Crazy Golf like this in the UK, I might play more often! :) Last time I played mini golf, it was on the seafront a Minehead, UK, and it was a bit tatty, even the windmill wasn't working. Glo-Zo, however, might bother me too much to play straight, I hate clowns. Oh Mylanta! What I wouldn't give to have access to a place like this! Australia misses out on everything! I want to have my birthday there! Just awesome. here's my MMM at Design du Jour. Wish we had something like this in Australia! We have sad, sad little putt putt courses, that not even the golf balls like to hang around! Here's my MMM'S Carmen Jenner Author and Book Me! Wow, this looks amazing! Funnily enough - my partner, who's an American, just commented today actually on how lame our Swedish mini-golf courses are compared to yours. Wow, this is a lot cooler than the one we had at the mall here in Eugene. 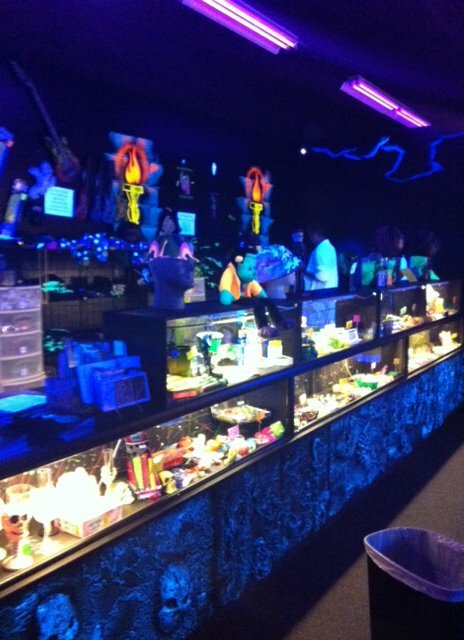 We need some glow in the dark horror themed bowling alleys and pool halls! 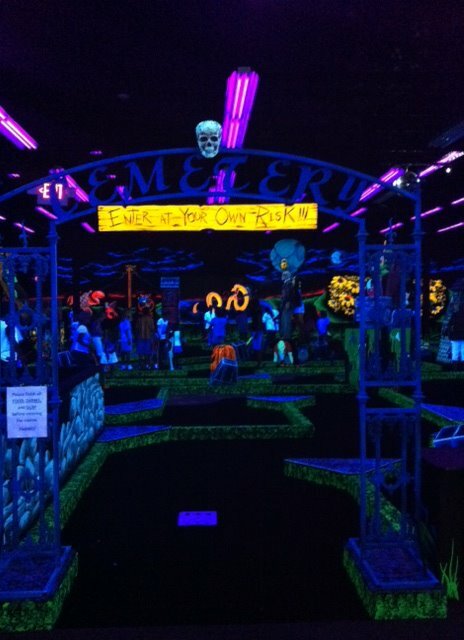 Your glowing mini-golf course looks amazing!! Honestly, I've never seen anything like it. I would love to take my kid there so he can practise all the really great drills that I've been teaching him to up his putting game. MMM Day 2: Save the Boooobies! Fridays YOU Choose The Scare!